Our bodies have evolved to function symbiotically with friendly bacteria. Gut microbes are intricately involved in some of your body’s most important functions‚ from digestion and metabolism to immunity and even mental health. But our microbial friends weren’t made for these times. Environmental toxins‚ processed foods‚ chronic stress‚ and certain medications can seriously deplete those beneficial bacteria‚ disrupting your body’s normal functioning‚ and allowing opportunistic microorganisms to gain a foothold. Daily Care Probiotics are intelligently formulated with a diversity of beneficial bacterial strains backed by clinical research to help restore balance to your microbiome for optimal digestive‚ immune‚ and overall health. 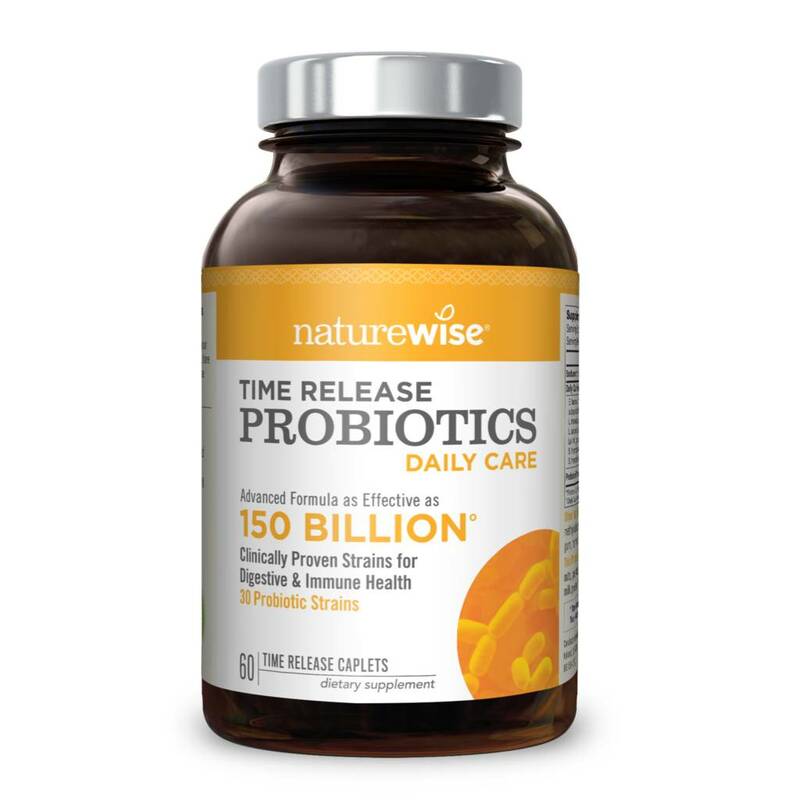 Wisebiotics® advanced caplet technology gives these probiotics superior survivability‚ delivering 15x more live‚ active cultures to the gut than standard probiotic capsules. The probiotics are gradually distributed throughout the GI tract over 8-10 hours‚ a benefit no competitor can match. E. faecium; L. casei subsp. casei; L. fermentum; L. plantarum; L. reuteri; L. lactis‚ subsp. lactis; B. lactis‚ Bl-04; L. paracasei‚ Lpc-37; B. bifidum; B. breve; B. longum; L. rhamnosus‚ GG; B. breve‚ Bb-03; B. infantis; L. salivarius‚ Ls-33; B. longum‚ BI-05; L. acidophilus‚ LA02; L. brevis‚ Lbr-35; L. casei‚ subsp. casei‚ Lc-11; L. acidophilus‚ La-14; L. gasseri‚ Lg-36; L. helveticus; L. plantarum‚ Lp-115; L. rhamnosus; S. thermophilus; L. rhamnosus‚ Lr-32; L. sakei; L. salivarius; P. acidilactici;‚ S. thermophilus‚ St-21. **Percent Daily Values are based on a 2‚000 calorie diet. Other Ingredients: Microcrystalline cellulose‚ hydroxypropyl methylcellulose‚ pectin‚ sodium carbonate‚ stearic acid‚ guar gum‚ turmeric. This product does not contain: Wheat‚ gluten‚ soy‚ eggs‚ tree nuts‚ peanuts‚ fish‚ or shellfish. May contain trace amounts of milk protein from the fermentation process. Adults take 1 caplet daily with food or as recommended by your healthcare provider. As with any dietary supplement‚ you should consult your healthcare provider before use‚ especially if pregnant‚ nursing‚ have a medical condition‚ taking medications‚ or have known adverse reactions or allergies. Allergen Caution: May contain trace amounts of milk protein from the fermentation process.